For SOL REPUBLIC Jax Wired 1-Button In-Ear Headphones that don't fall out use BudLoks™ - Far End Gear™ Products for outdoor enthusiasts - earbuds, earphones, and earbud sport grips. 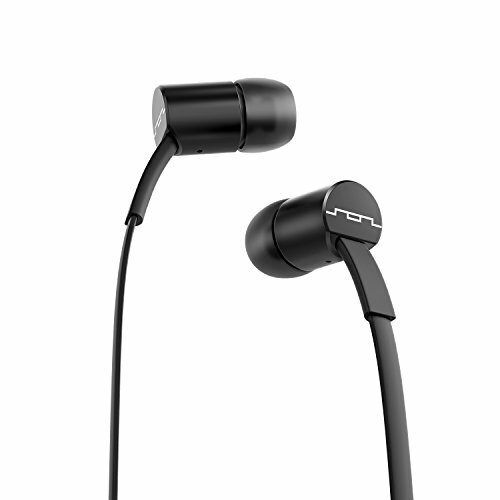 Sol Republic's JAX In-Ear Headphones are designed for high quality sound and style within reach. Featuring i2 sound engines, JAX provide a powerful, high quality sound that will exceed all expectations. With intuitively designed wide and flat cable, you will spend less time handling your headphones and more time listening to music. Just pull them out and put them on without any hassles. With four sizes of ear tips, you're sure to get a comfortable fit and perfect seal for hours of music bliss. Tangle Free: Flat cable doesn’t tangle and saves you time. Full Sound: Traditional ear buds lack bass. Jax is a premium sounding in-ear headphone that seals the ear, locking in all the bass and full vocals. In-Ear Noise Isolation: Multiple size ear tips allow you to get just the right fit for sealing the ear canal providing noise isolation and a full range of sound. Mic & Music Control: Mic and multi-function button allows you to pause/resume/skip music and answer/hang-up phone calls.